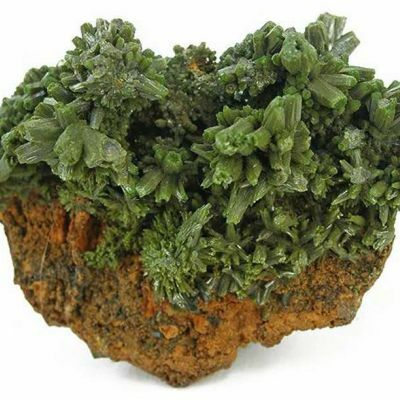 Some of the early 1980's finds at the great Bunker Hill Mine produced these classic, curved Pyromorphite crystals. 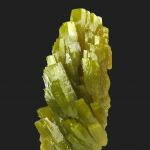 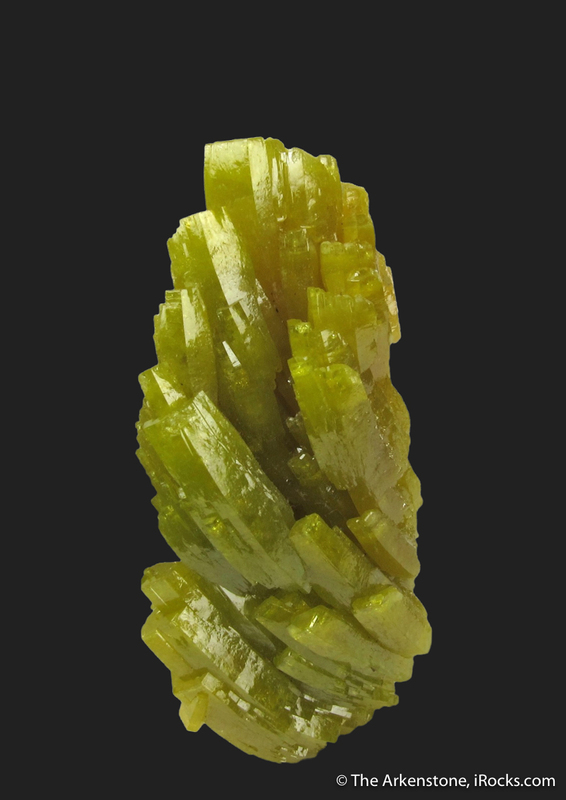 The highly lustrous 'wet-look' and curved, yellow-green crystals are very indicative of those pockets. 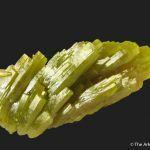 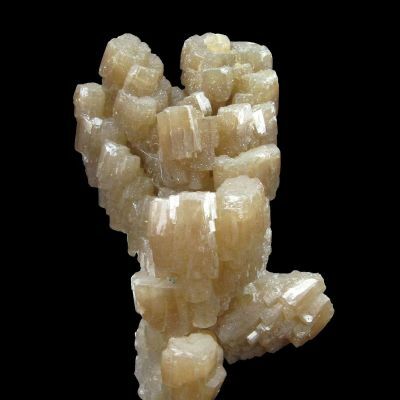 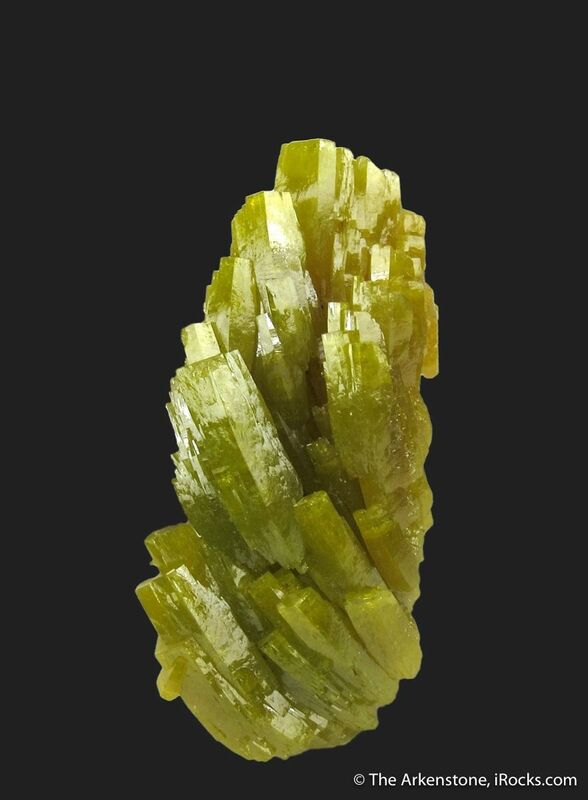 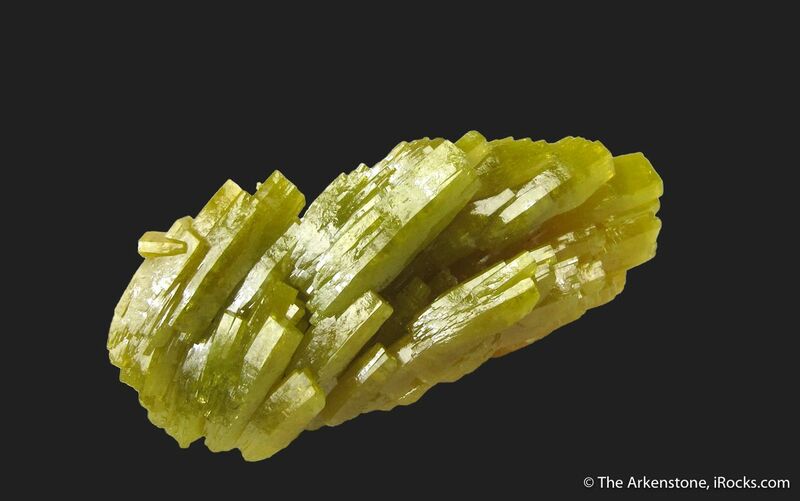 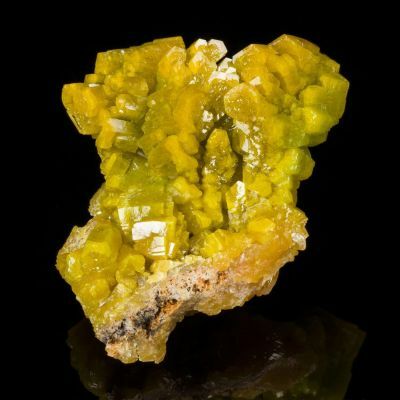 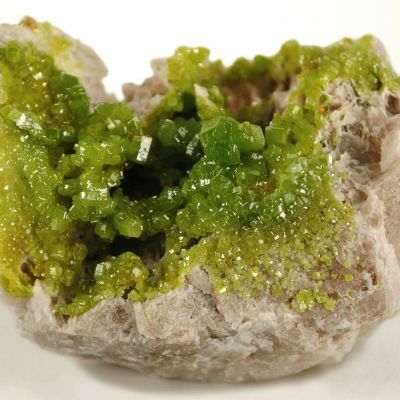 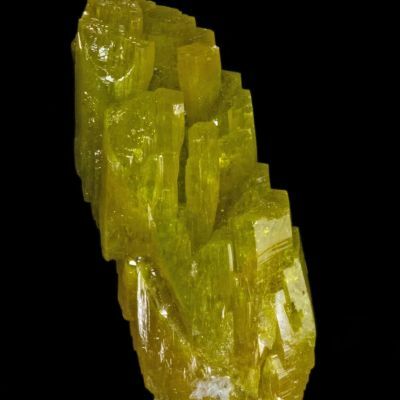 These Pyromorphites range up to 1.3 cm, and they become slightly more yellowish towards the terminations. 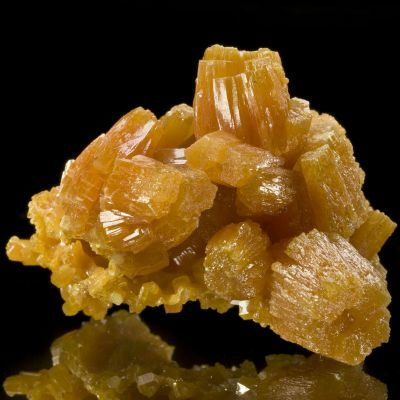 The cluster is very attractive, with the curved Pyros looking like they are bending in the breeze. 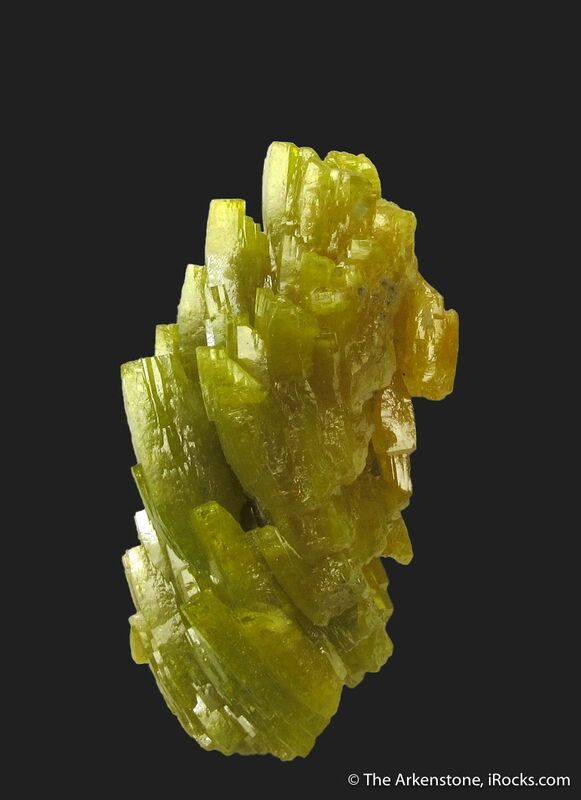 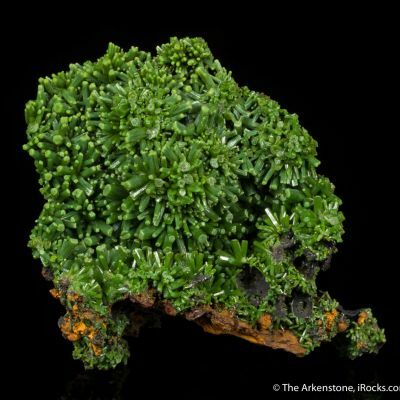 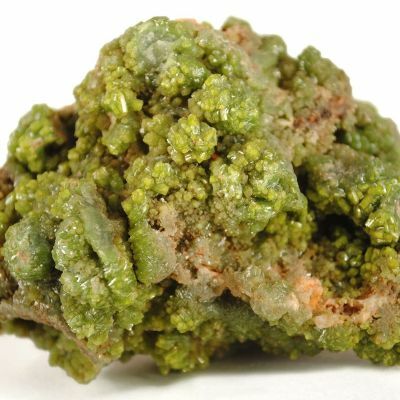 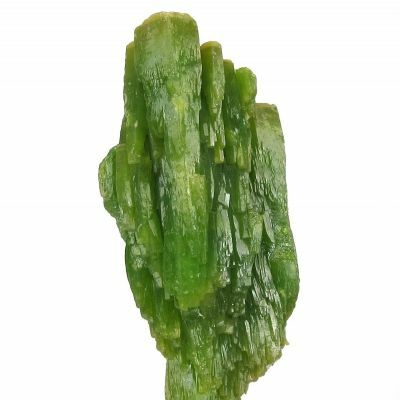 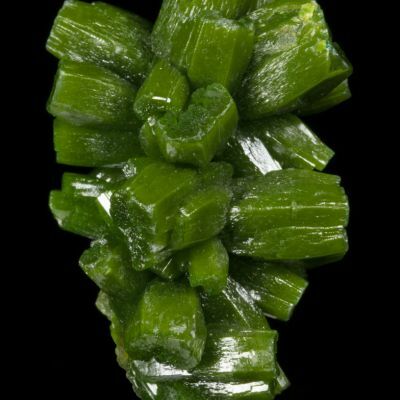 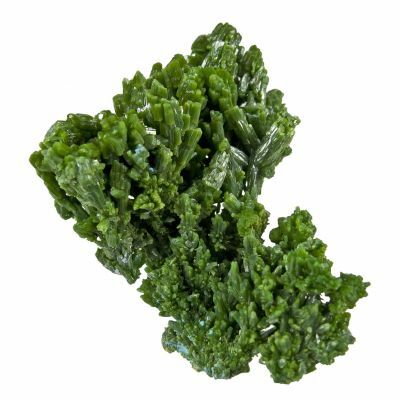 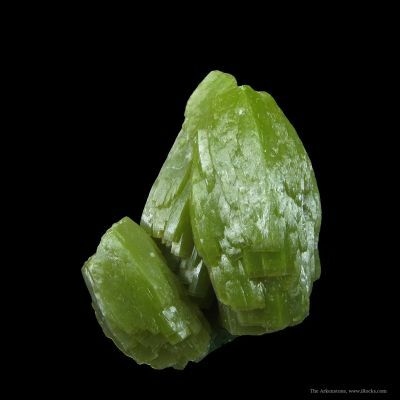 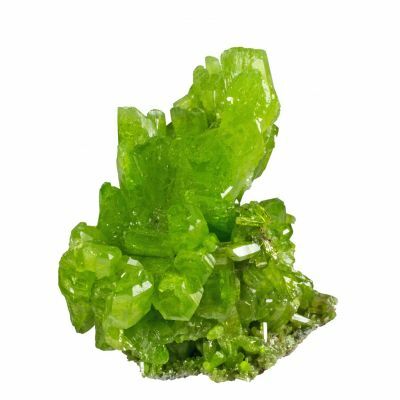 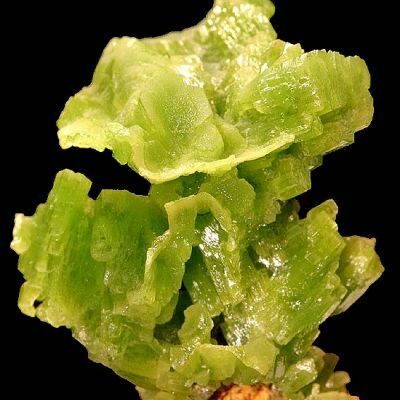 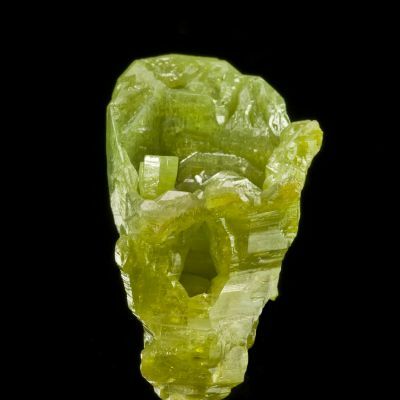 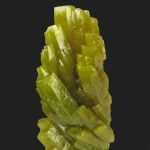 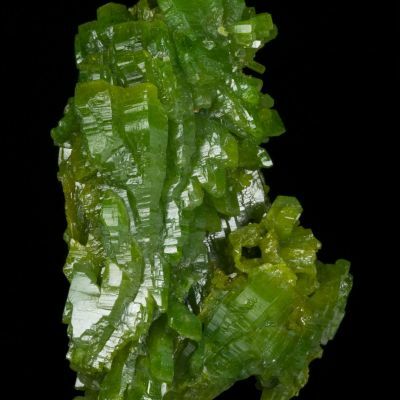 A habit such as this for Pyromorphite is far less common than straight crystals. 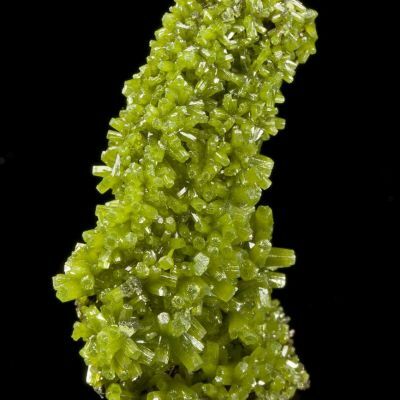 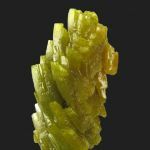 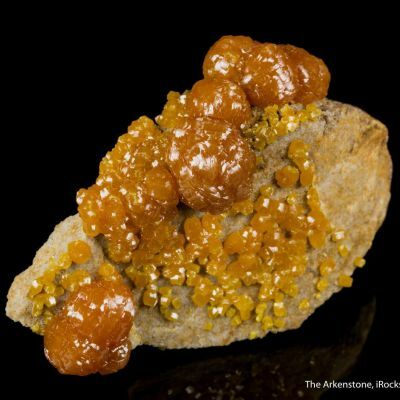 Highly aesthetic, this Bunker Hill Pyromorphite toenail was acquired by Kay in 1982, doubtless right after it was mined. 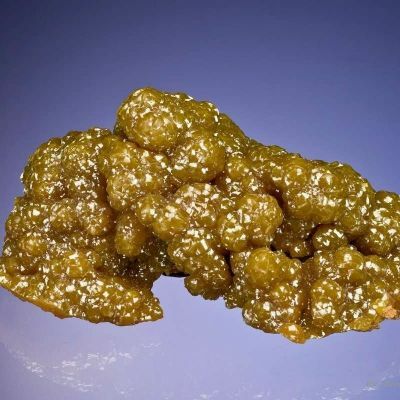 She bought it from Harvey Gordon, who was distributing the bulk of them at the time. 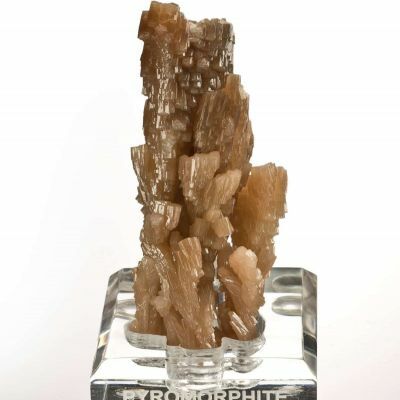 It is a superb, special miniature!